After two seasons at the bottom of the league, Monarchs needed to do something dramatic to regain the interest of the supporters - so they spent £20,000 on purchasing Les Collins from Sheffield. It shook the speedway world and started an amazing ten-year spell during which Les thrilled and entertained with his great skill and unique passing abilities. After a few weeks he was invincible at Powderhall, and he was the main attraction for the Monarchs home and away for most of the next ten years. He had a well-earned Testimonial in August 1995. 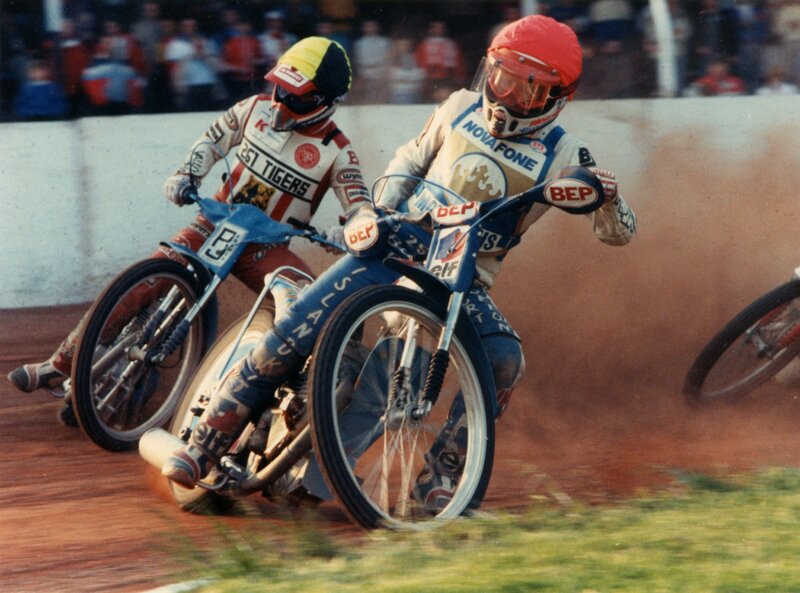 Prior to being a Monarch Les had of course finished second in the World in 1982 and won most of the honours in speedway, and even after leaving the club he had several seasons left in him. The photo shown was taken in 1988 against Glasgow at Powderhall.